The registered office address is the ‘legal service address’ for your company. It is where Companies House and HMRC will send any letters for the company. If your company is subject to any legal proceedings this is the address where the court paperwork will be sent. If the first registered office is an address in England the company will be registered as an English and Welsh Limited Company. 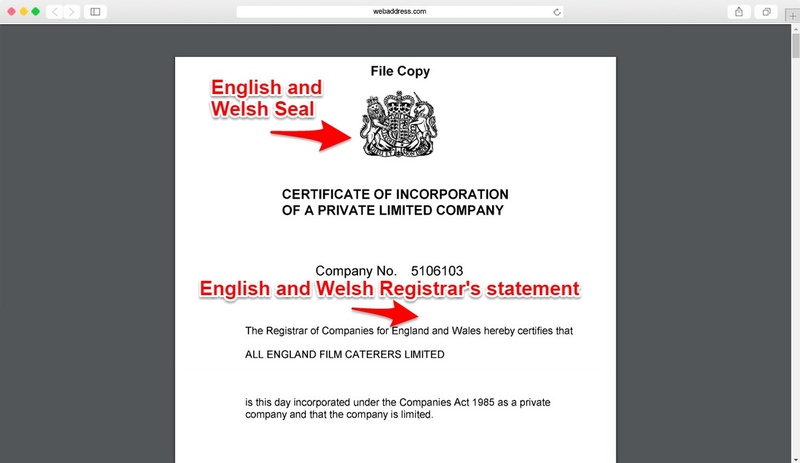 If the first registered office is an address in Wales the company will be registered as an English and Welsh Limited Company, or optionally a “Welsh Company”. A company can change its registered office address but cannot change jurisdiction. 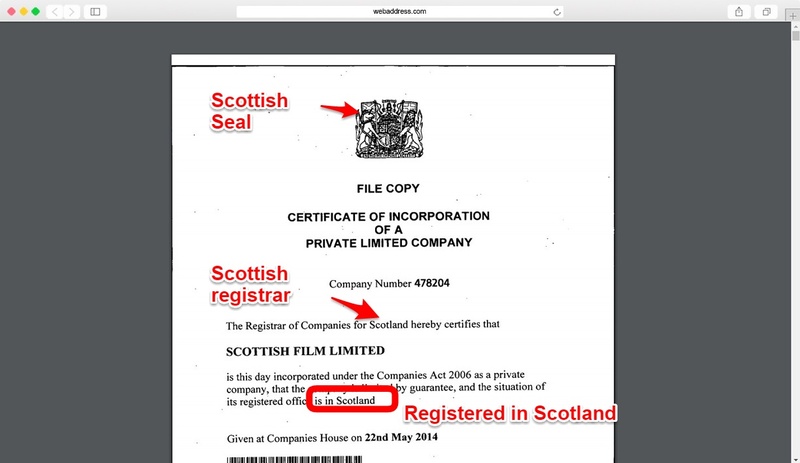 So, for instance a Scottish company must always maintain a registered office address in Scotland. A Certificate of Incorporation for a Private Limited Company registered in England and Wales. A Certificate of Incorporation for a Private Limited Company registered in Scotland. Can I use my home address as a registered office address? One of the most common questions we are asked is whether it is permitted to use a home address as a registered office address. This is perfectly acceptable, the word ‘office’ in ‘registered office address’ is a legal term and in practice any address is capable of being a registered office address. You just need to be aware that the registered office address will be available on the public database, along with the names of the company directors and shareholders. If you rent your home you should check your tenancy agreement as many landlords will not permit use of the property for running a business. The Registered Office Address is the main address for the company. It is also where you are supposed to keep company documents and accounts so that they are available for inspection by HMRC and others. A registered office address should be in the UK and cannot normally be a PO Box unless you have the full address including the street address. Where should I show my registered office address? As a limited company you are legally required to put your registered office address on any ‘company communications’. This includes invoices, brochures, websites, letters, emails and anything else you are sending out so this will be one of the main points of contact for anyone who wants to get in touch with your business. Your registered office address will also be published on the government’s website so that anyone can look it up. If you are not comfortable having your home address publicised then you are allowed to use service addresses instead. Company formation agents like The Company Warehouse, and some accountants, provide a Registered Office Service. This allows you to register your company to their office and they will then forward on any mail they receive. 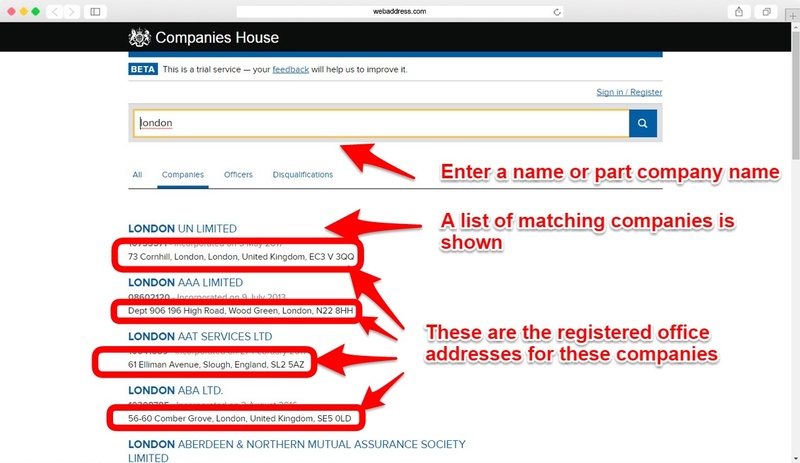 A simple search on the Companies House website will show you a list of companies and their registered office addresses. 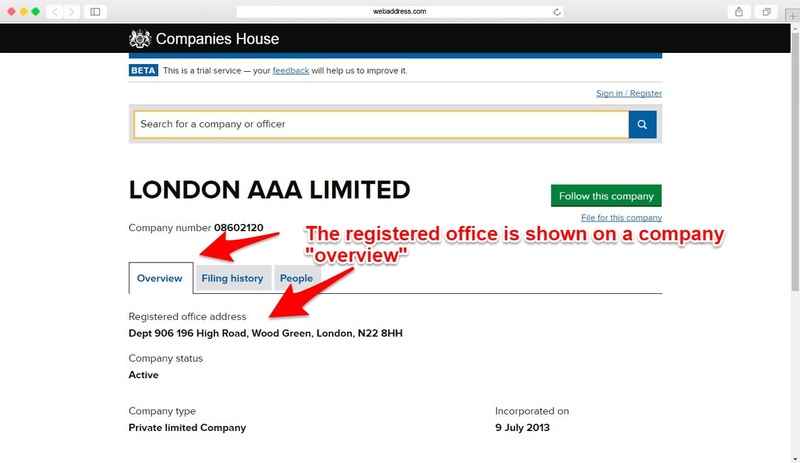 The company details page on the Companies House website will show the Registered office address. This company has used a service address for their registered office.